“O Christmas Tree, O Christmas Tree How lovely are thy branches! 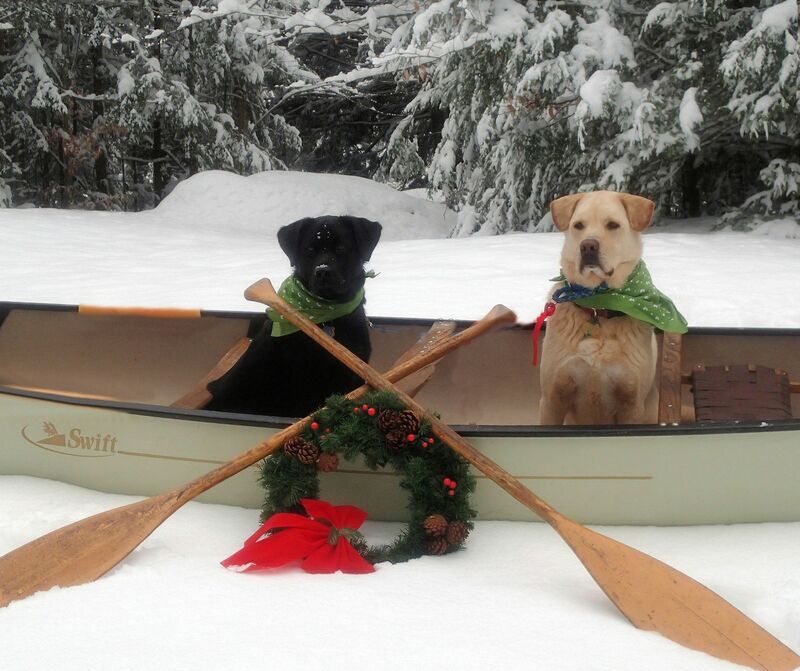 “ | Vermont Paddle Pups! Yes, the forecast is good for a White Christmas ( despite some wet,warm rain coming in on Christmas Eve). A 12-16 inch deep solid snowpack should suffer the indignity of rain on Christmas, and though it may continue to be Spikes over Snowshoes for a bit, there is no stopping us on our Winter Adventures. The dogs have been out working this month…we tried out the new local rail trail with the kicksled…first time this season they had been harnessed as a team, and they were WONDERFUL! Our day of kicksledding was good practice for the next day, when we were off to get the Christmas Tree. It was some tough going getting out to the tree…some deep snow, packed snow, and some breakable semi-crusty stuff….The dogs love it, as there is lots of subniveal life in the snow near the trees. They did not catch any voles,mice,or moles ( thankfully), but got in a lot of strong sniffing before they went to work. 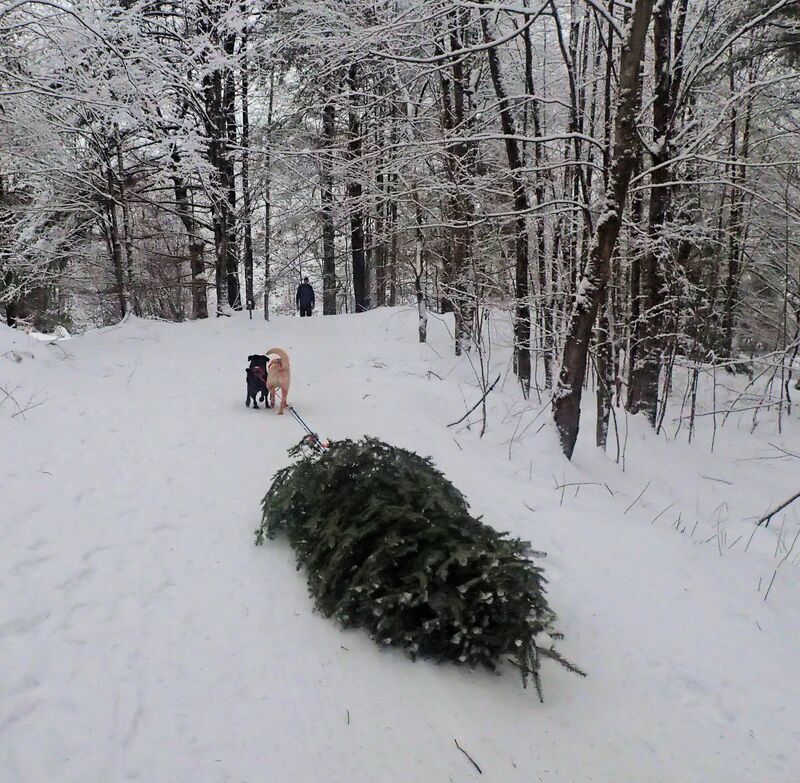 A large tree, being pulled by two dogs..what a sight! The dogs loved the chance to run, and would have kept going back to the car unsupervised, except that we were able to get in a loud “Whoa!”, and they actually responded! We have continued winter hiking, though we have yet had a chance to try out our new Tubbs Alp Flex snowshoes…since they are from Santa, we thought we should use our old snowshoes ( if necessary), at least until the week of Christmas. 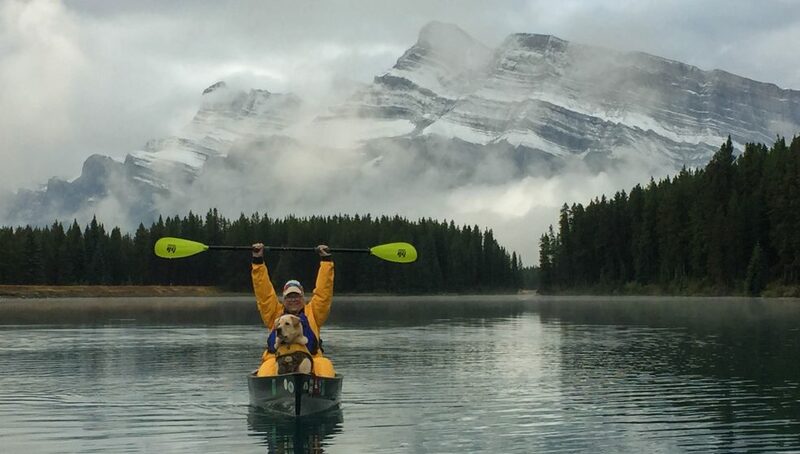 The Paddle Pups are also getting involved in more Community Service…as leaders of the Poo Crew at one of our local trail networks. We will maintain the “doggie-bag” dispensers, collect data on the number of “landmines” we find on the trails, and encourage others to Leave No Trace. Our previous unofficial efforts have resulted in minimal effect, but perhaps with the backing of our local Land Trust, conditions may improve. We have also continued to work with the Friends of Waterbury Reservoir group, to improve canoeing and canoeing conditions at one of our local lakes. We use that area year-round, but it is nice to attend meetings where the focus is on summer canoeing and camping. As much as we have fun in winter, it is nice to have warm summer days to look forward to. 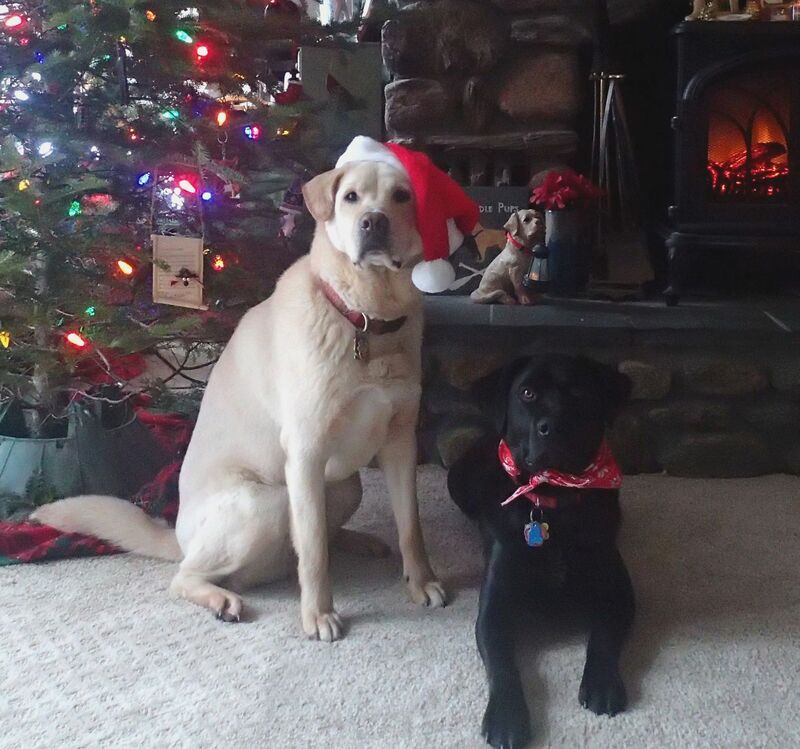 Merry Christmas, from the Vermont Paddle Pups!